While my mother told me tornado stories from yesterday, and another friend had to interrupt a phone conversation as she paid attention to a tornado in another part of Oklahoma, and as my daughter called me from Dallas to tell me of hearing sirens go off and trying to remember what to do in case of tornado warnings.... this photo of the sunset behind the lighthouse by Michael Danielson at Oklahoma City's Lake Hefner, where I once worked with a friend to establish a system of trails around the lake, is making the rounds. Long sentence, great photo. Such a place of beauty in an area of the country that has more tornadoes than anywhere else. We used to yell cheers: Go, Cyclones. That was what we called our sports teams. My first home survived (barely) a tornado that was so destructive it's damage path made the cover of National Geographic. That was in Oklahoma. Many sunsets ago. The old Crooked House, at left, in Lavenham, Suffolk, on High Street is charming. In the mid-90s, before I wielded a digital camera, I snapped photos up and down the streets of this village, one of the most charming towns that rose to heights in the woolly days of England. Compare that crooked architecture to this new Crooked House in Sopot, Poland, built in 2003, and ranked #1 in the list of 50 strange buildings in the world (The Beer Can House in Houston is about #24 or so). I had to put them together in this post. update: Crooked Bush Administration abuses of power? Public street art is gaining ground and via blublu one can see some of the latest creative endeavors outside the U.S. This wall art, at left, is street art in support of people in Vicenza (Italy) fighting against the construction of a new "invasive and dangerous" U.S. army base. Not much huge public wall art like this is being done in the U.S. -- that I know of. Well, what is authentic culture, anyway? Is it related to place? Race (geographic "racial" groupings differ from one another only in about 6% of their genes. This means that there is greater variation within "racial" groups than between them)? Customs, or religion? Old, or new like Dubai? Language? Culture is a living breathing thing and some guy half-way around the world wants to put me facing Mexico. Have you ever played Risk? If you have, then perhaps you might agree that the possibility of the U.S. breaking up is out there. It is hard to control all. One Russian predicts that my part of the country will become the Republic of Texas, part of Mexico, in 2010, based on a cultural/economic divide. If you look at this old ethnographic map of the indigenous North America, at left, (in Princeton's library), it makes sense but c'mon. The Deep South in this territory, too? Look at the Russian's map in his WSJ article. He thinks the financial, economic and other woes will spur a divide in our country. Russia gets Alaska, the West goes to China, etc. Hot topic: “cultural knowledge,” “ethnographic intelligence,” and “human terrain mapping” has been deemed as essential to military exercises but the anthropologists are against this "Human Terrain System". This is a recent topic in USA Today and, when I sat in on a recent meeting at Santa Fe's School for American Research, this topic from 2008 was a hot one, too. Culture is related to power, to hegemony. Unlike most Americans, I've roamed around (a majority of Americans have moved regionally at least once in their lives, now nearly four in 10 have not left their home towns). I know that culture begins in the home; the idea of home defines place. No wonder the War on Terror defined the enemies as everywhere and we had our country renamed The Homeland. Si, MexiTexas? Houston, a city that grew because air conditioning made it finally comfortable to be cool and escape mosquitoes, has been a mess. We had dinner this week with Houston friends who came to Colorado and New Mexico and let other friends live in their house. Updates are still coming of people finally getting electricity. Houston was our home for 11 years and the falling trees caused a mess where we lived. We have been hearing of unreal stories. 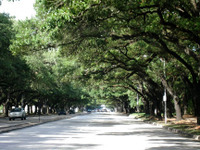 This live oak boulevard near the museum district is just one example of trees that overhang everything. Lob lolly pine trees are the dominant trees in our area that fell everywhere, as they have shallow roots. My goddaughter's mom sent me an update of what it has been like living in that hot, hot city without power. It's on the flip. Today a little girl carefully dressed stands beside her father, trying to understand her part in a larger group, not yet able to get the foot steps. 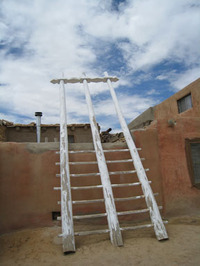 Leaning against ancient adobe walls at New Mexico's Acoma Pueblo, I see community reinforced in dress, dance, family, tribe, place, music, chants, drums and vessels. I note the traditions displayed in costume, with silver conchas, turquoise, shell jewelry, coyote skins, bells, feathers, moccasins and rattles. The annual fest day of San Estevan at Acoma Pueblo has been going on hundreds of years. I go with new friends and think about new and old and our cultural traditions: of what we climb, what we value, what we choose to teach our children, as a community. Shadows of culture from thousands of years ago pulsate. Running water and electricity are non existent on the Acoma plateau. Somehow, watching the Republican Convention staged as I post this seems so culturally distant from the dances I observed today. One reflects how our power is arbitrated and selected today; the other celebrates how community comes together for the traditional cycles of season, of life, of spirituality, of family. I've not talked about the Palin pregnancies with my girls, but the conversations we've had with these elections... have we covered everything now? What an interesting political season. My favorite quote of the day: "We are going to flush the toilet," new McCain-Palin aide Tucker Eskew. Well, not at Acoma, at least not up on the plateau. Nothing gets flushed, there. I used to do shadow figures with my children. But nothing, NOTHING, like this, which is creative shadow performance art unlike anything I've seen. Houston, a middle class manufacturing city and the sixth-largest metropolitan area in the U.S., home of oil refineries and 27.4 minute commutes, continues to build more highway lanes to accommodate growth. 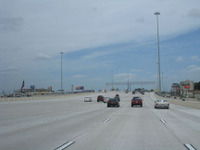 This month I counted 18 lanes for West 1-10 (Katy Freeway), just nearing expansion completion. I've never driven on 9 lanes heading anywhere. Houston is about 20% larger by population, with around million more people, since I left in 2000 and in that time, NYC grew less than 3%. Getting around in NYC was easy with subways, taxis, grid system layout and buses but the lower cost of living in Houston makes cars - and the highways -- the way to live. Continuing high gas prices might change all that. Dallas is Dallas is Dallas. Big D. My husband was born there, my oldest daughter just moved there, and we lived there before she was born. Finding myself in Dallas more often (I was there earlier this month), I must say some things don't change, including the flash of D.
While the rest of the country might be tightening belts, 45,000 people a day go through the Ikea store in far North Dallas. Get that. A day! That many people don't even come to Santa Fe in one day. Ever. Scandanavian-esque spartan furniture doesn't have flash, so you wouldn't think it would fit in Dallas, but this just goes to show you that people are flocking to that city, and shellin' out bucks, just like they always have, thinking it has all the potential to make one big on the ladder of life. Texas has more Fortune 500s than any other state. The Barnett Shale natural gas field has things just humming in the Dallas/Fort Worth area. A shopping story, typical of Dallas, is women who drop $45,000 on Jimmy Choo shoes in one fell swoop in Highland Park Village. Women dude up in Dallas. That is like what happens on Fifth Avenue in NYC with the low dollar and the oil rich Middle Easterners who come to buy, buy, buy and get sold and make yerself shine. Only those women do it under the cover, or at least the Saudi women do. They just flash to other women and cover up for the rest of the world. The Burka tease. Dallas loves sizzle, Dallas loves to shop, and Dallas is out-there-Alpha. Big blonde hair gives heads more of a presence and better frames the face. I keep telling my hairdresser who came here to Santa Fe from Dallas, to downsize my locks a bit before he sends me out into the city that only flashes silver and turquoise. But maybe the economy is impacting some things, though. The Big Pink Dallas House, left, that formerly belonged to the late Dallas Cosmetic Maven (blonde) Mary Kay Ash has dropped in price over time. 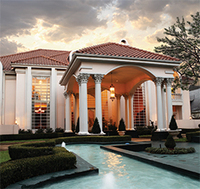 Now it is listed for nearly $5 million and in March/April 2007 it was listed for close to $6 million. So so so Dallas: 12,300 square feet, a great room with three grand opera balconies, pink marble floors, counters and toilets. Mary Kay is legendary for becoming a dynamo on her own with make-up, like Estee Lauder, only sales are done one-to-one and everything is pink, pink, pink. I've known women who worked so hard to get that pink cadillac, the top prize for top saleswomen. But I didn't see any pink cadillacs in Dallas. In Houston I head to the book store by the Galleria and see a pink cadillac take the open place by the door. Inside, on the newly released books table is Mary Kay Ash's book, The Mary Kay Way. How can a women who died in 2001 author a book in 2008? Fresh as pink, I think, is a Mary Kay tv ad running (hmmm. that's new - I've never seen a Mary Kay tv ad) that urges women (to oops, was it to be consultants, or seek one to buy the pink packaged cosmetics. oh well.) to whatever. Urging women, that's the point, to better themselves. Thinking pink used to mean Mary Kay, at least in these parts until Nancy Brinker, who started her career in (where else?) Dallas, at Neiman's, no less, realized how to harness the power of women and now we think pink for breast cancer. I'm wondering.... hmmm. Pink is feminine. Pink is fresh. Pink is young and new. Pink is power, hon. Who is the Ronald Lauder rising behind these ashes? Scroll down the Amazon book listing for this new book (an updated release of her 1984 book) and realize that ashes to ashes is not the way this Dallas woman blazed her arching life. It is ashes-to-shining-star. It is ashes to sizzle and razzle and dazzle and glitter ever after, amen, pass the lipstick. Her three best-selling books are still out there. Her principles of business book has been part of the business class curriculum at Harvard. Her ultra-successful pyramid-sales structure primed Texas-born W. Bush and his Big Texas compadres to think yes! yes! yes! let's. We can win this thing with the Amway man showing us the way. No duh, no brainer. Person-to-person urging. So Dallas, where southern charm and relational-style manners become the subtle veneering charm for the westward-ho make-a-difference, go-get-em-saddle-up dahlin, way. Pioneers, W. called them, those top money-ropers who made everyone pony up big time, while Mary Kay just inspired her Alpha girls to get-behind-the-wheel and take charge of their lives. You, too, can kick up the dust with your pink cadillac. Bush bestowed titles; Mary Kay bestowed flash. Bush's DNA wasn't really a pioneer but that family had enough smarts to move to Texas to launch themselves. Had Bush been a little more pink with his power, it would have softenend his bristle. 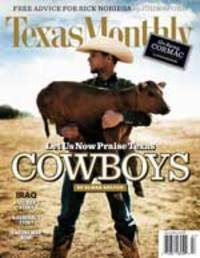 Now, Texas Monthly's lead article has a cowboy on the cover this month laments that he just has tarnished the image of the hallowed cowboy, shame him, shame him. Politicians have made cowboy a perjorative term. Bush adopted the spurry swagger as his mythic persona and Texas is rather mad about it. So the upstart Netrooters went to Austin last weekend and Howard Dean started to make his way there starting at...where else? Crawford, Texas. Netroots Nation. How symbolic to do it big in Texas where the buzz is now stampeding with power online, the way the democrats have busted out of the chute on this. You'd better watch that hot air coming out of Texas. It seems to do more than bluster. I just wonder about the welcome mat, though. Last week a methodist leadership group approved the Bush presidential library center at SMU, thus squashing the two-year opposition. Let's not beat around this Bush. Look-out, world. Just like Mary Kay's new book, the dead can still rise and shine. Sort of like "Where is Waldo?" is the Dallas buzz: Where Will Bush Buy? Rumors abound about where G.W. and Laura will settle. Is it here, there, or here, they all wonder as the academics at SMU protest the Bush Library. Shape-shifting anathema. A Houston friend from Fort Worth pulled out her FW Social Register to recall something as we chat over coffee. FW is probably the only city I know of that still has a social register. Climbing isn't done so fast there where the cowboys and cowgirls have always, and still are, real stuff and they, those in FW, know that cowboys represent noble values of hard work and honesty. Dallas is where the blemish can be covered up and anything is eligible for being remade, re-enhanced. Ah. Dallas. Where style flashes. Big blinding time. And Houston is hot. (I forget just how hot it is and was those 11 years I lived there, now that I'm here visiting). In Houston women don't drip caked on makeup. You see a little less veneer, a little more warts and hodge-podge and that is why Houston mixes it up. River Oaks doesn't define Houston like the Park Cities center Dallas to draw the line of who is in, who is out. You can move in and out without having to flash the shaping of the stuff, the self. But remember, it is true: myths are made and remade in Texas. So. What else is new. Nothing. It is all in the packaging.